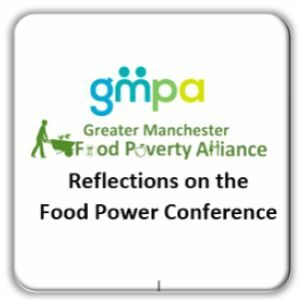 Charlie Spring, chair of the “Measuring and Monitoring” sub-group of the Greater Manchester Food Poverty Alliance, represented us at the first ever conference of Food Power, the national body of food poverty alliances. 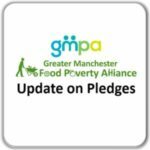 As the work of the Greater Manchester Food Poverty Alliance gets underway, it’s a great time to learn from the challenges and successes of alliances around the country. Food Power is part of Sustain’s long-term work building fairer and more sustainable food systems, and has helped to fund the formation of over 50 alliances, from Aberdeen to Kernow (Cornwall), and ranging in size from Lockleaze ward in Bristol to an alliance covering the whole of South Wales. A blistering day in Cardiff City Hall held an intense day of talks, workshops and discussions about how collective work can add value to existing efforts to tackle inequality and poverty. To open a workshop on developing action plans, I presented the structure we’ve adopted to organise ourselves in Greater Manchester, as themed sub-groups working to develop specific aims and actions within the coordinating fold of the Driver Group, the influence and barrier-busting work of the Reference Group and the scrutiny of the Diversity Group to ensure our processes and aims address multiple dimensions of food poverty for different groups. We heard from cities further along the action planning and delivery process, such as Brighton whose action plan progress report has just been published. 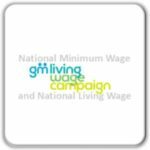 Some have conducted action research, some have worked to embed food poverty into council strategies and others have acted to galvanise the work of diverse organisations from holiday hunger programmes to community cafes. A key concern was around the value and challenges of involving people with lived experience in building the movement. We were shown a powerful film of school students in Blackburn/Darwen who demonstrated the value of such involvement in shifting their sense that poverty is something that happens abroad, or that only affects homeless people. Memories of the shame one girl experienced receiving free school meals were transformed into gratitude for such entitlement and, with it, anger that such entitlement could be taken away. Learning to see their own ‘food poverty’ in the context of Food Power had empowered them to understand their own experiences as a form of expertise that could be used to create systemic change. However, others questioned the language of ‘food poverty’- do people have to define themselves in terms of a lack, or should we instead use the term food inequality? Or, is food/fuel/period poverty simply poverty, with food a useful lens to create community and collective activism? Or, as Kath Dalmeny powerfully argued, should we centre our work on the Right to Food, a right which the UK government has signed up to protect and fulfil? Maybe it’s lawyers who should be calling leaders to account on poor hospital food, or mushrooming emergency food demand in the wake of Universal Credit rollout. People-powered, food-powered change: about maximising family income, defending services and, given that environmental and social injustice are closely related, protecting the soil to ensure future food supplies. I left with new ideas on evaluating the added value of working in partnership (new jargon e.g. 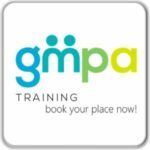 ‘collective impact’, and a new task of making sure everyone understands it!). 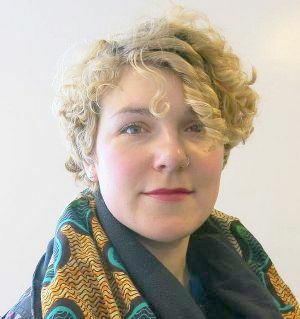 I learned about the work of organisations and projects I was unfamiliar with – Alexandra Rose (vouchers for fresh food), Leapfrog (tools for engagement) and a story of how Luton’s Community Food Hub enabled segregated communities to challenge their stereotypes and resentments by sharing strawberry-growing skills. At a time of Brexit and migration debates, food and meal sharing can be a way to transform narratives about the real causes of poverty and bring oppressed communities together rather than blaming each other. But I’ll give the final word to Welsh Government Cabinet Secretary for Finance, Mark Drakeford. He described the mixture of rage and gratitude he feels for community organisations providing free food and clothes for families who otherwise would be unable to send their kids to school for lack of uniforms. He described the powerful work of Food And Fun, the Welsh Government-supported holiday hunger programme providing healthy meals, nutrition skills and sports at ever-growing numbers of schools. He concluded with a reminder that devolved administrations’ hands are tied – they, and we, do not control the benefits system and ultimate responsibility lies with Westminster. However, we can ensure we best use our services to “mitigate the roughest edges of growing up in poverty”. We can only do what we can. You can read more about the Food Power conference, and download presentations, here.